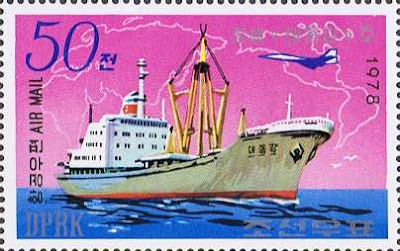 The 5ch value depicts the freighter Hyok Sin. 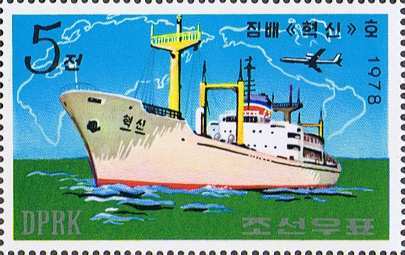 Originally the Kyokuyo Maru completed in 1957, she was sold to North Korea in 1974. 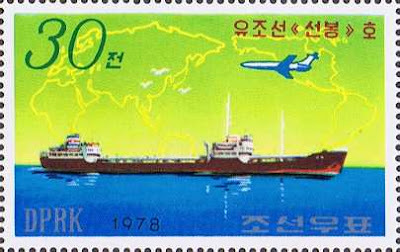 The next ship is the freighter Chong Chon Gang on the 10ch value. Completed according to one source in 1977, as of 2009 she was still registered to a North Korean owner. The tanker Son Bang is featured on the 30ch value. 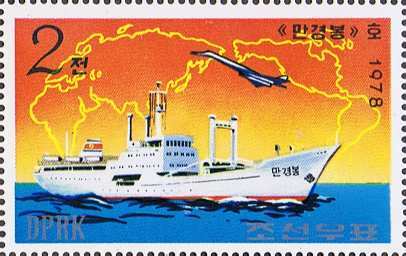 I have yet to get further information on this ship, if you have some please email me and let me know. The last stamp features the freighter Tae Dong Gang. 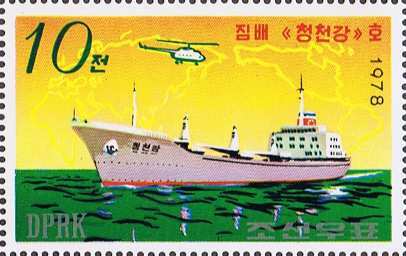 Completed in 1976 she was built in North Korea and as of 2009 was still in service. 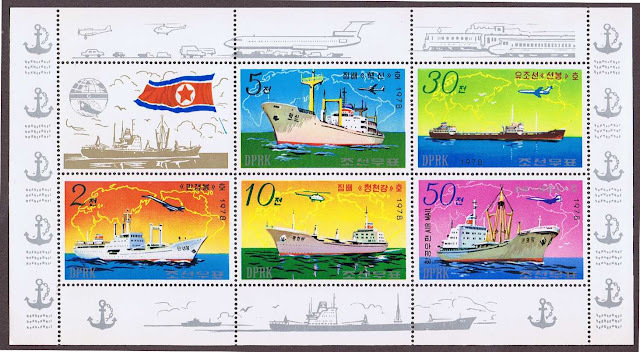 The designs of the stamps are visually appealing and as stated earlier appeal to a wide variety of thematic or topical collectors. 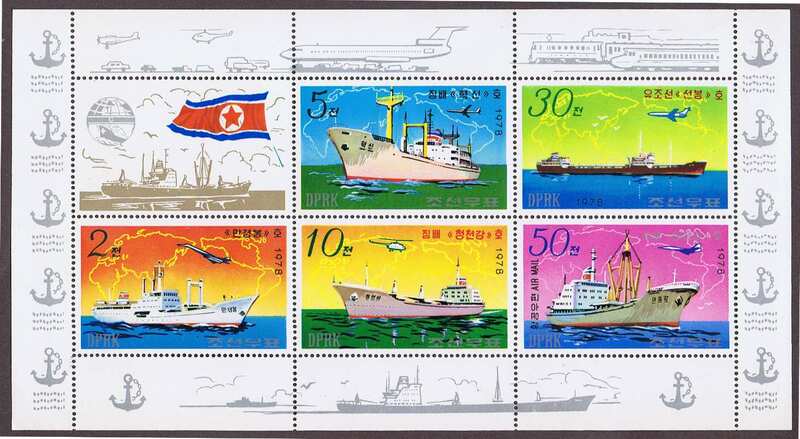 Not worth very much in terms of catalogue value, as far as I am concerned they are a nice addition to my general world wide and ships on stamps collection.